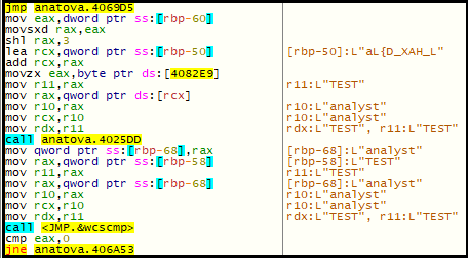 While everyone was engaged in new year celebrations, malware authors were busy creating new ransomware for 2019. 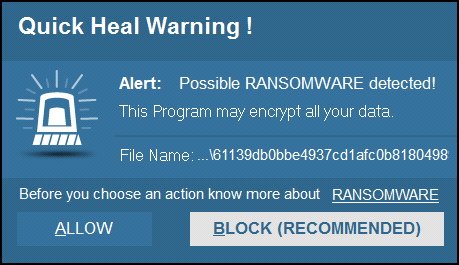 Quick Heal Security Labs has observed the first ransomware of 2019 — Anatova. During our analysis, we found that Anatova is not just ransomware but a modular one. 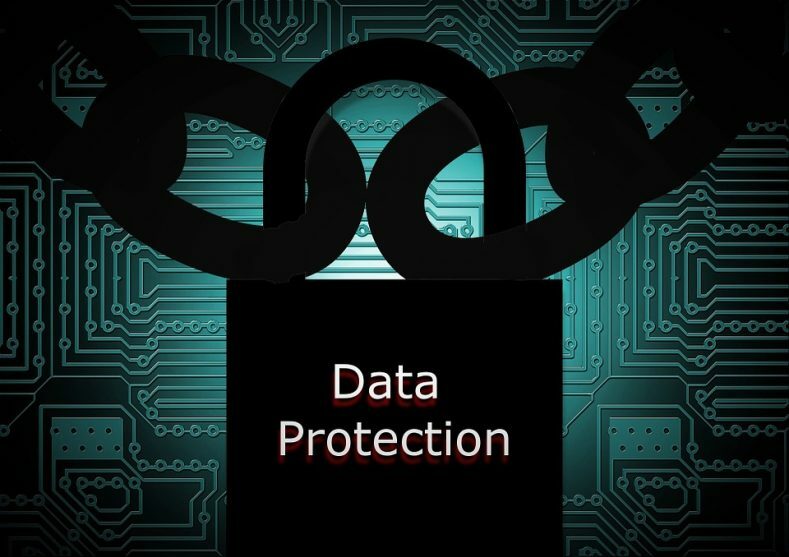 By modular ransomware we mean, though the main activity of this ransomware will be encrypting the data, it can also be used to infect user’s PC in many ways as it has that provision as well. Anatova has a different algorithm and execution techniques. That tells us, Anatova Malware authors are skilled and might have already set plans to infect more in future using modular techniques. 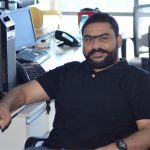 As this malware is coded with high intelligence and found to be destructive, we decided to come up with a detailed analysis report and its prevention techniques. Unlike other ransomware, Anatova encrypts the files but doesn’t add any extension to the encrypted files. It encrypts all the files except from the folders which are present at the important location of the system such as ‘windows’, ‘program files’, ‘program files(x86)’,’boot’ etc. Further, while traversing directories to encrypt files, it skips few files of windows and those are desktop.ini, boot init, pagefile.sys etc. It also skips few of the extensions i.e. .exe, .cmd, ini & .dll etc. Smartly, this ransomware encrypts files whose size is =<1MB, and if the size is more than 1 MB then it will only encrypt the data of 1 MB from that file, we suspect that it does it to take lesser time for encryption and to avoid the detection from the security software. After encryption, Anatova demands ransom payment in cryptocurrency of 10 DASH which calculates to somewhere around $700 USD. Anatova lures users into downloading the ransomware with its game like icon. The hashes we analyzed were 64bit applications build in January 2019 and requires administrative privileges as shown in the below snippet. Though the samples had different sizes, the main payload had 307 KB size which included resources (a game like icons). 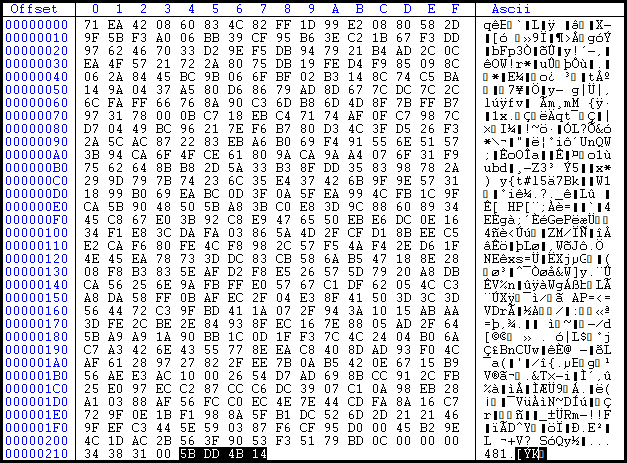 Researchers also found an uncommon behavior during analysis which is, malware already had created set of arrays which holds mostly used functions of windows library in encrypted format, as and when required, it uses decryption loop that allocates runtime memory to decrypt the encrypted strings, gain the function name, get the address of decrypted string using “GetProcAddress” function and release the memory once the process is completed, initially, it decrypts kernel32.dll library and its functions. This behavior pattern wasn’t observed in any other ransomware. 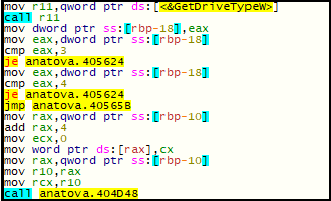 The thing to note is, upon entering into user’s PC, it generates constant mutex which tells that the system is already infected with Anatova or not. Ransomware has a code to verify constant mutex using “GetLastError” function, which returns error code ‘0xB7’ indicating ‘Error_Already_Exits’ which means that same mutex has already created before and the process should be terminated as shown in the below snippet. Fig 5: Gets Default Language. Moreover, it has a check to verify 38 processes and if found, ransomware terminates them to encrypt the files associated with them. After all, checks are satisfied, Anatova finally does the encryption activity using a combination of RSA and Salsa 20 Algorithm. To save the hassle and not to encrypt the same file again, it adds a marker of the encrypted content of 4 bytes at the end of the file (Refer fig.no 7 & 8). While traversing each file for encryption it first checks the 4 bytes at the end of the file so the same file doesn’t get encrypted again and in turn saves time. Fig 6: API used for encryption. Anatova not only encrypts system drives but also checks remote location to encrypt. It checks for all instances, DRIVE_FIXED to check the local drives and DRIVE_REMOTE to verify remote(network) location. After encryption and deleting the shadow copies, ransomware deletes itself as shown below. After encryption, it drops ransom note mentioning the email-ids and ransom to pay. Good news, Quick Heal users are safe. Wow.. Shriram Munde, you have written world class research. Proud of the QuickHeal team. All the best. Quick is doing excellent job . Always love Quick heal & its sincerity & assured security to this fast moving world. THANK YOU SIR, WE RELY ON YOUR EFFORT TO PROTECT US ALWAYS. Thank you very much for all your message and all your efforts to protect us ‘Ransomware’ attack. Please keep up the good work. great sir your healing effort is commendable. That’s great work Mr. Shriram Munde. 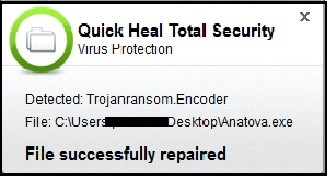 I trust QuickHeal will ensure always quick identification of such threats and save subscriber’s computer.